In 2012, Jeff Borysiewicz, the owner and founder of Orlando’s Corona Cigar Company, purchased a farm in nearby Clermont, Florida. Borysiewicz’s goal was simple – he wanted to bring back growing tobacco to his home-state of Florida. At one time Florida was known as a tobacco-producing state, but for the past three decades, this business had been pretty much dormant. After succeeding in producing a crop, thetobaccos produced were shipped to Drew Estate in Estelí, Nicaragua where they were fermented and aged. Drew Estate Master Blender Willy Herrera started working with the tobaccos, and this led to the development of the FSG (Florida Sun Grown). In 2016, FSG was originally released as a shop exclusive to Corona Cigar. Last year the decision was made to take the brand national under the Drew Estate umbrella. The cigar was made available in four sizes, but a fifth cigar featuring a completely different blend was released. That cigar would be limited in production and would become the FSG Limited Edition Trunk-Pressed Toro. There are three significant factors that make the FSG Limited Edition Trunk-Pressed Toro different from the other FSG cigars. First, as the name indicates, the Trunk Pressed Toro features a soft box-pressed format. Second, the wrapper used for the Trunk-Pressed Toro is a Connecticut Broadleaf (where the remainder of the FSG cigars use a Brazilian wrapper). Finally, while the regular production FSG cigars use Florida grown Corojo ’99 tobacco, the Trunk Pressed Toro also uses Criollo ’98 tobacco. The reason why the Trunk Pressed Toro is a limited production cigar is due to the Criollo ’98 tobacco. Back when Borysiewicz planted his test crop in 2013, the focus was on Florida-grown Corojo ’99. That same year, there was a small yield of Criollo ’98 that was produced from the farm. The low yields of the Criollo ’98 essentially have limited the production of that brand. Like the regular production FSG line, the FSG Limited Edition Trunk-Pressed Toro is offered up to Drew Estate’s Drew Diplomat (premium) retailers. Without further ado, let’s break down the FSG Limited Edition Trunk-Pressed Toro and see what this cigar brings tot he table. As mentioned, the FSG Limited Edition Trunk-Pressed Toro is a completely different blend than the regular production FSG. The Trunk Pressed Toro features a Connecticut Broadleaf wrapper and Mexican binder. In addition to the Florida-grown Corojo ’99 and Criollo ’98 tobaccos in the filler, the Trunk Pressed Toro also utilizes tobaccos from Nicaragua and Honduras. The cigar is produced at Drew Estate’s La Gran Fabrica in Estelí, Nicaragua. The FSG Limited Edition Trunk Pressed Toro measures 6 x 54. It is packaged in ten-count boxes. 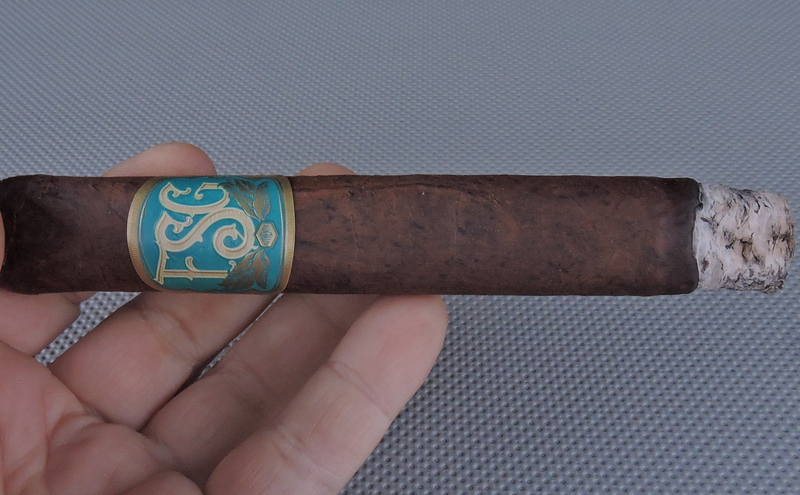 The Connecticut Broadleaf wrapper of the FSG Limited Edition Trunk-Pressed Toro had a roasted coffee bean color to it. There was a slight amount of Colorado red mixed into the color of the wrapper. There also is a slight amount of mottling on the surface of the wrapper. This was a wrapper that didn’t have much oil on the surface. I found this to be a slightly bumpy wrapper as the cigar had visible veins and visible wrapper seams. As the name indicates, the Trunk Pressed is a Cuban-style soft box press that has slightly rounded sides. The FSG Limited Edition Trunk Pressed Toro has the same banding as the regular production line. This features a mostly teal, metallic gold, and yellow color scheme. On the front of the band is a large “FSG” in a pale yellow color surrounded by gold leaves. Below the “FSG” is small gold hexagon with the text “AUTHENTIC” in small teal-colored font. There are various gold and yellow adornments. To the left and right is the text “FLORIDA SUN GROWN” sitting on an aqua-colored rectangular background. My cigar experience with the FSG Limited Edition Trunk Pressed Toro started with a straight cut to remove the cap. After the cap was clipped, I moved on to the pre-light draw phase. The cold draw delivered a mix of coffee, natural tobacco, wood, and a slight tingly spice. Overall, I considered this to be a satisfactory pre-light draw. At this point, I was ready to light up the Trunk-Pressed Toro and see what the smoking experience would have in store. The FSG Limited Edition Trunk-Pressed Toro started off with a blast of red and white pepper. Notes of coffee, wood, mineral, and natural tobacco emerged, but the spice was slow to recede. In addition, there was an extra layer of pepper with some cedar sweet-spice notes on the retro-hale. Midway through the first third, the coffee and natural tobacco notes emerged as the primary notes. By this point the natural tobacco had a unique sweetness to it that was a little difficult to come up with a flavor analogy for. Meanwhile, the mineral, pepper, and wood notes remained mostly in the background, but each occasionally popped into the forefront. By the second third of the FSG Limited Edition Trunk-Pressed Toro, the wood notes displaced he coffee in the forefront. It remained in the forefront with the natural tobacco notes. While the mineral and pepper notes remained in the background, I categorized these are close secondary notes and played a key role in the overall flavor equation of the Trunk-Pressed Toro. The final third of the FSG Limited Edition Trunk-Pressed Toro saw the wood notes continue to be primary. The natural tobacco notes receded into the background. While the pepper spices were still in the close secondary range, the natural tobacco and mineral were not. 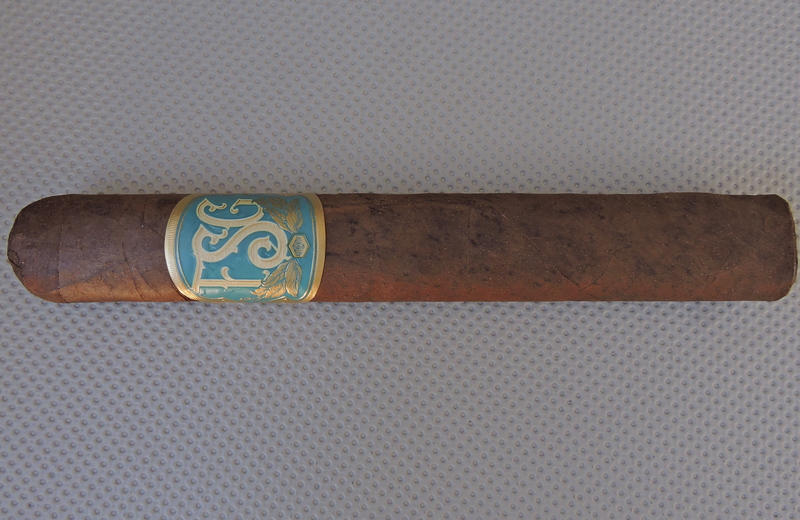 This is the way the smoking experience of the FSG Limited Edition Trunk-Pressed Toro finished up. The resulting nub was cool in temperature and slightly soft to the touch. The burn of the FSG Limited Edition Trunk-Pressed Toro had a slight amount of jaggedness on the burn line, but the burn maintained a straight path from start to finish. The resulting ash was mostly light gray with some darker speckles mixed in. This was an ash that wasn’t overly firm, but wasn’t a loose nor flaky ash either. Meanwhile, the burn rate and burn temperature were both ideal. The draw to the FSH Limited Edition Trunk-Pressed Toro delivered a nice balance of openness versus resistance. Overall, I found this to be a low maintenance cigar to derive flavor from. The FSG Limited Edition Trunk-Pressed Toro had some firepower. While it had a spicy kick, it also was robust in terms of strength and body. This was a cigar that I assessed to be medium to full in strength from start to finish. The flavors also started out on the upper end of medium to full-bodied. By the second half (especially when factoring in the retro-hale), this was a full-bodied smoke – complementing the full flavors. When it comes to the Florida Sun Grown Tobacco project, perhaps the most amazing thing is to see how far Borysiewicz has come with this project in a short time. Six years ago, everything we are smoking today was in a conceptual phase and now is reality. If there is one thing that you can say about the FSG series is that it is a unique series of cigars. In a cigar climate where innovation is on the decline, the FSG project is a bright light. It’s also worth noting there are a some Davidoff Florida Sun Grown releases and an upcoming release from J.C. Newman Cigar Company using a Florida Sun Grown wrapper (The American). The FSG Limited Edition Trunk-Pressed Toro is certainly a part of this innovation. While it’s Connecticut Broadleaf, it definitely isn’t going to be your cookie-cutter Connecticut Broadleaf smoke. I’ve not only found the FSG Limited Edition Trunk-Pressed Toro to be enjoyable, but it’s a cigar that continues to get better with time. Since it’s a bolder cigar, I probably would steer it to a more seasoned cigar enthusiast. As for myself, it’s one that I would smoke again and purchase multiples to smoke now and save some for later.